James Harden To Join ‘Keeping Up With The Kardashians’ ? Khloe Kardashian and James Harden have reportedly been dating for months now. Despite rumors that the “Keeping Up With The Kardashians” star is maintaining a close relationship with Lamar Odom, sources say the third Kardashian sister is reportedly having fun with her new main squeeze. James Harden having a constant presence in Khloe Kardashian’s life, does this mean that he will also appear in “Keeping Up With The Kardashians” as much as Lamar Odom did? Lamar Odom had a significant part in “Keeping Up With The Kardashians” before, with his and Khloe’s wedding being featured in an episode of the reality show. The ex-couple even had a spinoff reality show of their own, “Khloe & Lamar,” which focused on their life as a married couple. 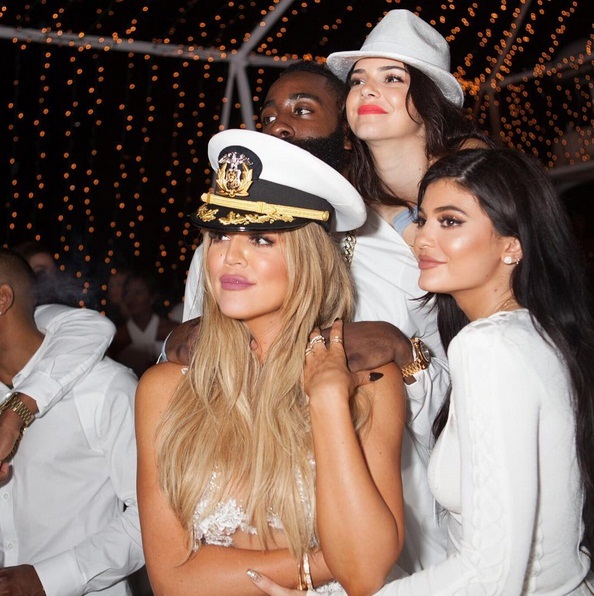 According to the source close to Kourtney and Kim’s younger sister, Khloe wants her relationship with James Harden to be anything but public. “She wants to build the relationship with James in private rather than having each night out followed by cameras. Her time with Lamar ended badly and to some extent her split with French Montana also was very messy – with many fans accusing French of being more interested in fame than her,” the insider added. Is James Harden hurt that Khloe Kardashian doesn’t want him to be on “Keeping Up With The Kardashians” as much as Lamar Odom was? “There’s talk that James doesn’t want to get sucked into the drama of KUWTK and the rollercoaster media coverage of his personal life,” the insider dished. Posted on October 12, 2015 Written by admin No Comments on James Harden To Join ‘Keeping Up With The Kardashians’ ?